Water-resistant and wipeable apparel and gear! "Why didn't these blankets exist when my children were babies?" That is the comment we hear most often when people see our Rain Baby Gear's water-resistant baby blankets. They are essential gear for today's active families. Practical, multi-functional, and bright, eye-catching fabrics. 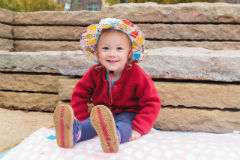 Keep your baby's little head dry with a water- resistant, fleece-lined Rain Baby Gear hat. 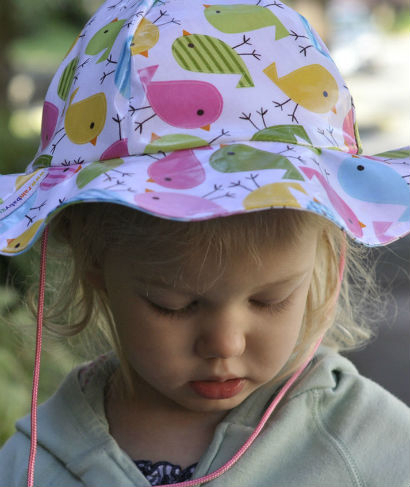 Special price for Rain Baby Gear hats. Only $24.99. Free shipping does not apply. First Pound Shipped for Free! First pound of Rain Baby Gear shipped for free! We have adjusted our pricing and shipping policy for our online retail shoppers. We hope you understand that shipping really isn't free. Moving products from point A to point B by carrier pigeon, bicycle, the United States Post Office, or other delivery service uses energy, people, organization, computers and more. That is not free, and it shouldn't be. 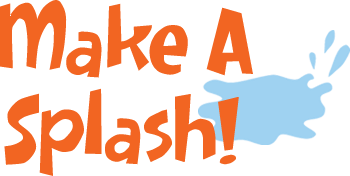 BUT we want to offer incentives to our online retail shoppers to get the Rain Baby Gear items they want and in a timely manner. So...you now get the first pound shipped for free. What are examples of combinations that add up to less than a pound? One large blanket and one hat. 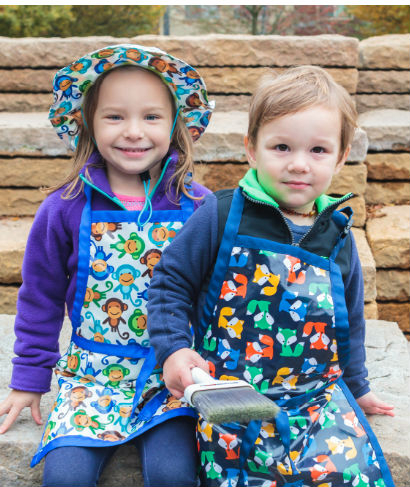 One small blanket and large kid apron. 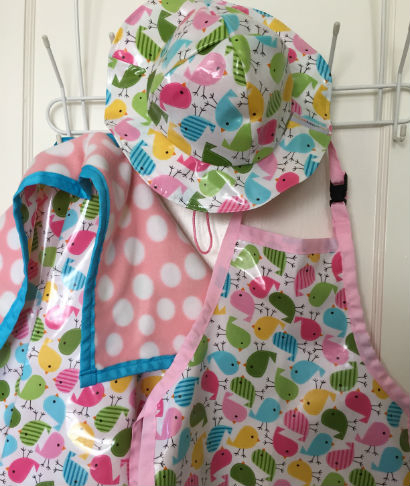 Four hats and a small kid apron. Or just one of any item, of course! Questions? Email us and ask! 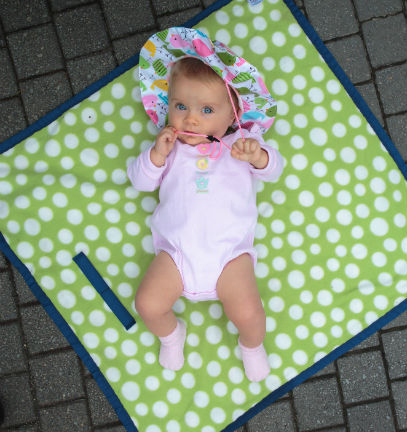 Rain Baby Gear makes water-resistant gear for kids and babies that offers function and flair. We work with a laminated cotton fabric that is highly water-resistant, soft, and very scrunchable. It is machine-washable and BPA-free. 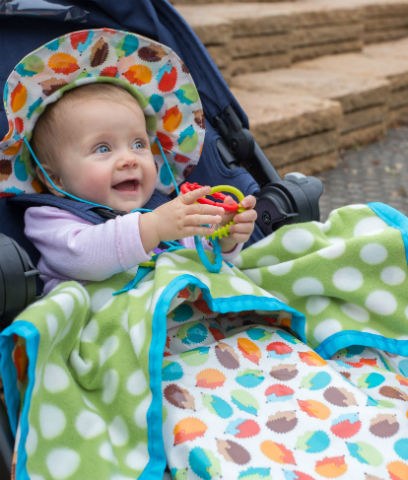 Our customers call our water-resistant baby stroller blankets "BRILLIANT. " The blankets are a must-have for active parents. Our hats keep off the rain and snow and are fleece lined for warmth. 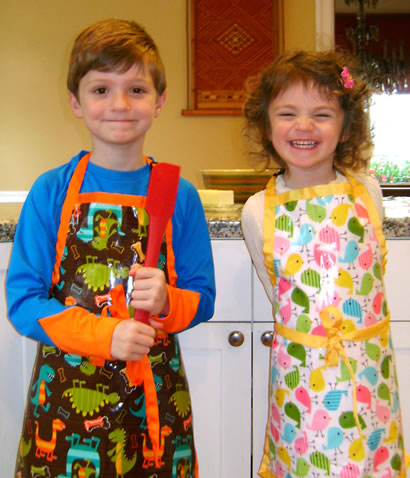 The kid kitchen and craft aprons are sponge-wipeable so they allow easy clean-up after messy craft or cooking projects. All of our products are made in Portland, Oregon.